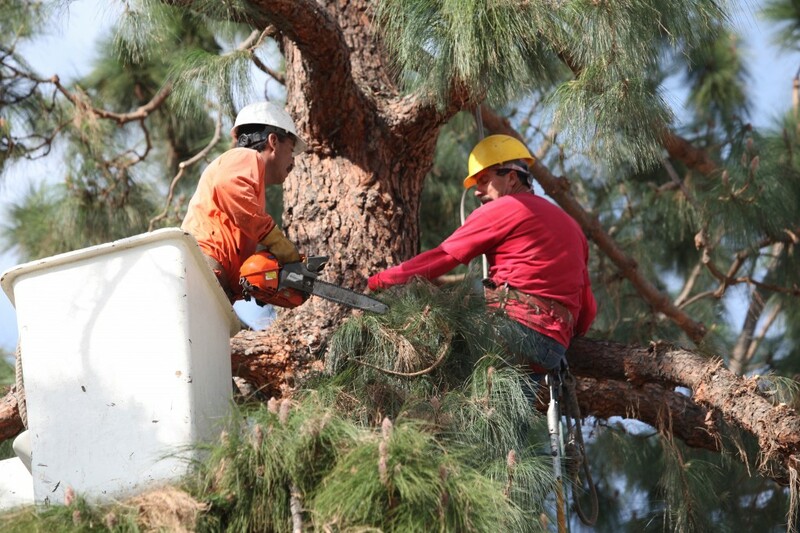 Tree trimming and pruning is Greene Tree Care’s most common tree maintenance procedure. Although trees in nature such as forests grow well with only natural pruning, landscape trees require professional care to keep them safe and beautiful. Tree trimming should be done by an experienced professional who understands how trees react to each cut. Butchering a tree, can cause damage that will last for the life of the tree, or worse, kill the tree. This is when Greene Tree Care crews remove branches which could cause damage to property, trim branches which interfere with lines of sight on streets or driveways, and remove branches which grow into utility lines. This is where Greene Tree Care removes diseased and pest infested branches. We might thin the crown to increase airflow and reduce some pest problems, and remove branches which cross and rub against each other. 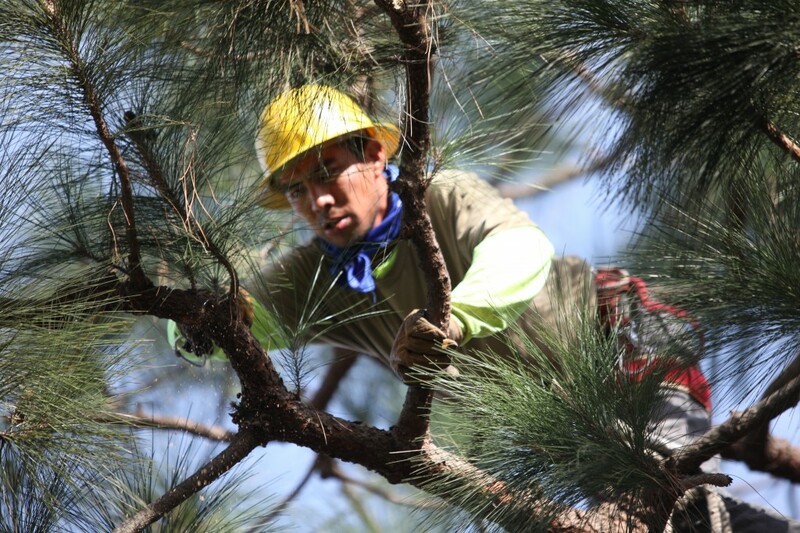 Professional tree trimming can best be used to encourage trees to develop a strong structure and reduce the possibility of damage during severe weather. This type of trimming enhances the natural form, beauty and character of trees and stimulates flower production. This is where an artistic and experienced tree trimmer is needed as he will know exactly where to cut branches in order to maintain a beautiful, natural shape. Reducing the height or spread of a tree is yet another job best left to an experienced tree trimmer who understands how to trim in order to retain a good shape and structure so as not to compromise the aesthetics and structure of the tree. We do not top trees. Topping stresses trees, looks terrible and the removal of the leaf-bearing crown can starve a tree, triggering a survival mechanism which forces the rapid growth of multiple shoots below each cut. Roots also grow frantically. These shoots break easily, especially during windy conditions. Topping permanently ruins the tree’s aesthetic beauty and is often the cause of a tree’s tragic death years later. We can try to improve a tree which has been previously ruined by topping, but it takes time and money. There is nothing that drives us more crazy than seeing all of the trees which have previously bee topped by hackers. We regard it as a crime as healthy trees are vital for our survival and enjoyment of life on so many levels. Our tree specialists are highly skilled, athletic and have an artistic eye. They will carefully trim your trees beautifully.